India is the second most populated country in the world with nearly a fifth of the world’s population. According to the 2017 revision of the World Population Prospects, the population stood at 1,324,171,354. 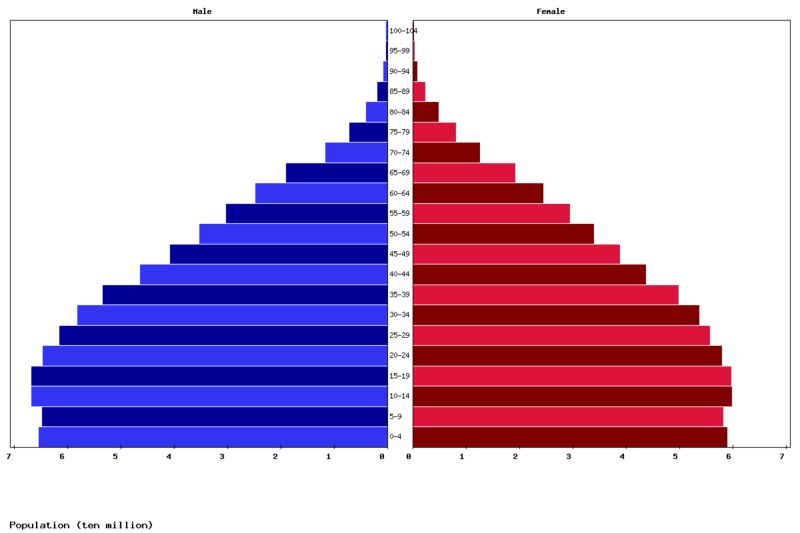 During 1975–2010 the population doubled to 1.2 billion. The Indian population reached the billion mark in 1998. India is projected to be the world’s most populous country by 2024, surpassing the population of China. It is expected to become the first political entity in history to be home to more than 1.5 billion people by 2030, and its population is set to reach 1.7 billion by 2050. Its population growth rate is 1.13%, ranking 112th in the world in 2017.